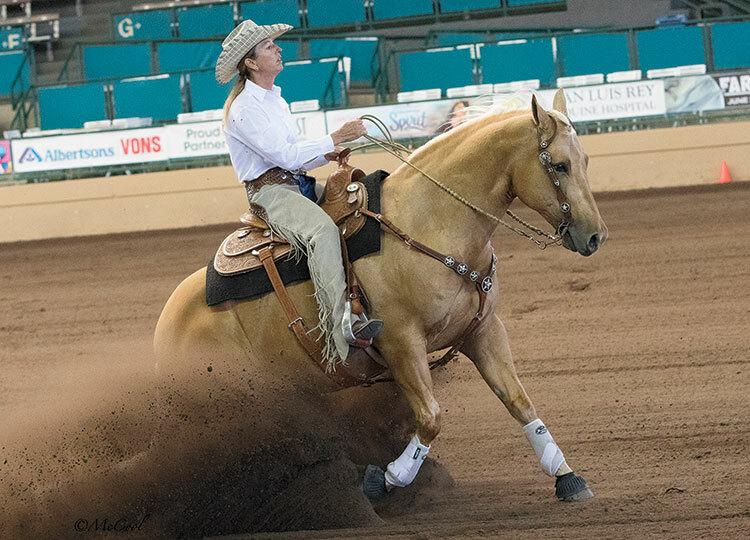 DEL MAR—The annual Del Mar National Horse Show has a rich history of showcasing some of the most exciting and prestigious world-class equestrian competitions in the western region. The three-week event, now in its 74th year, is a Southern California tradition. This year, the excitement and pageantry of the event will thrill crowds in the Del Mar Arena at the Del Mar Fairgrounds from April 16-May 5. The show features three separate weeks of equestrian competition. Western Week runs from April 16-20, Dressage Week is April 25-28 and Hunter/Jumper week is April 30-May 5. Each week of the Del Mar National features a distinct discipline—Western, Dressage and Hunter-jumper—and closes with a special event highlighting that segment on Saturday evenings. “Night of the Horse” presented by Mary’s Tack & Feed on April 20, is the exclamation point of Western Week where you’ll be dazzled with daring feats during a truly unique musical equestrian theatrical performance. 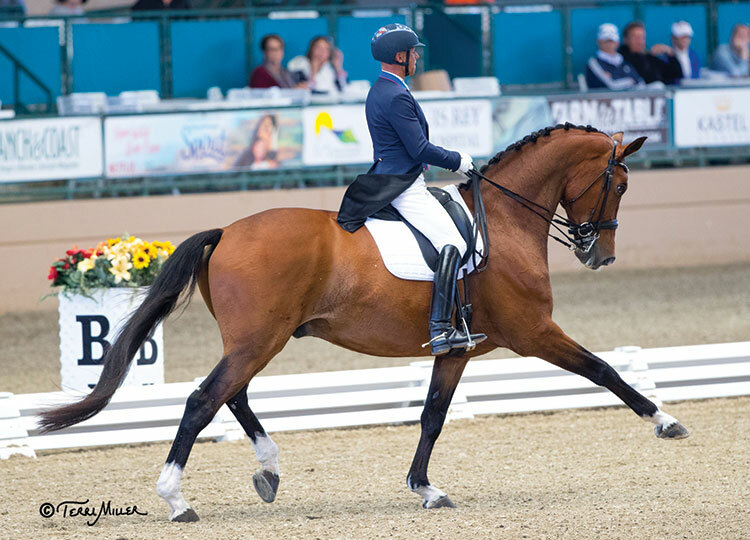 Dressage Week wraps up April 27, with an “Evening of Musical Freestyles” where Olympic and world champion horse and rider pairs will wow the crowd with a show highlighting the artistry, athleticism and collaboration between horse and rider in detailed routines set to music. Hunter-jumper Week culminates May 4 with the $100,000 Grand Prix of Del Mar, featuring obstacles where these powerful animals will demonstrate their speed, agility and jumping prowess. Come early, as the fun begins well before the horses enter the Arena. Horse lovers of all ages can experience the hands-on, interactive exhibit “Meet the Breeds,” which offers a chance to sit in different types of saddles, get an upclose and personal view of five different breeds of horses, and even take selfies with these four-legged beauties. The “Meet the Breeds” exhibit is featured at each of the three Saturday evening events. You’ll swoon at the clothing—and oh, the boots!—in the not-to-be-missed vendor area. You’ll find housewares, apparel, accessories and fine art, all curated for the equestrian enthusiast. Equine specialty vendors are onsite all week, but each Saturday evening a special selection of boutique artisans and merchants will bring their wares to the Del Mar National. A new feature this year is Ranch Day, happening April 16, which will feature ranch riding and ranch trail riding, culminating with the Highpoint Horse Award. Western Week features four AQHA/PCQHA/NSBA Shows, a Youth State Qualifier Circuit and All-Around Awards, a PCHA Open Horse Show, and NRHA Classes. Western Week is back-to-back with the Double Feature Show where exhibitors can show in front of 12 AQHA judges in 11 days. • Tomas Garcilazo, four-time award winner of the prestigious Professional Rodeo Cowboy Association Dress Act of the Year Award. • Felix Santana, head trainer of Friesians and Andalusians at Young Living Lavender Farm in Mona, Utah. • The Blue Shadows Drill Team, whose JAT Riders are 11-time winners of the California State Grand National Championship. • The Riata Ranch Cowboy Girls—among the finest, fastest and most accomplished horsewomen in the world. • The Victorian Roses, bringing back the elegant era of the 1880s. • Spencer Rose, former Riata Ranch Cowboy Girls and star of the acclaimed Cavalia tour as a trick roper and Roman rider. Both a national and international competition, Dressage Week offers official qualifying events for many USEF finals, including the National Grand Prix and Intermediaire, Young Adult, Young and Developing Horse Championships, as well as the National Junior/Young Rider Championships. Designated a 2020 World Cup Qualifying event, the Del Mar National is one of the most highly regarded dressage competitions in the US, consistently attracting the world’s finest horses and riders. You needn’t be an expert in the sport of Dressage to be captivated by the Evening of Musical Freestyles at 7 p.m. Saturday, April 27. Olympic, World and National Champions demonstrate the artistry, athleticism and awe-inspiring collaboration between horse and rider in a perfect display of strength and elegance set to music in a choreographed routine. Top riders slated to compete during Dressage week include Steffen Peters, Sabine Schut-Kery, Gunter Seidel, Nick Wagman and Jan Ebeling. Featuring FEI CSI 3* classes in its line-up, the Hunter-jumper week will have world class horses and riders vying for more than $300,000 in prize money. Competitors from throughout the United States, Canada, and Mexico will participate. The excitement builds leading to the $30,750 Surfside Grand Prix Qualifer at 1 p.m. May 2. 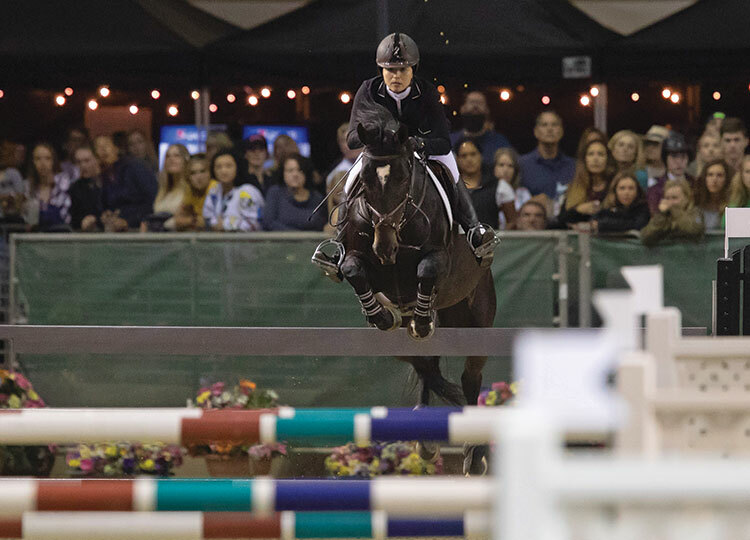 Horses and riders will compete to qualify for one of the 30 coveted spots in the prestigious $100,000 Grand Prix of Del Mar FEI CSI 3* presented by EQ International featuring the Land Rover Ride and Drive at 6:45 p.m. May 4. Among the Hunter-jumper participants to watch: Zazou Hoffman, Karli Postel and Nicki Shahinian-Simpson. • Zazou Hoffman has won include finishing first at the 1.50m AON Cup at Spruce Meadows in Calgary riding W Zermie. In 2018, she scored the top spot in the Longines World Cup Qualifer at Del Mar riding Samson II. In addition, Zazou represented the United States as a member of two 2018 Nations Cup teams, competing in Portugal and Canada. • Karli Postel had a break out year in 2018 getting to travel to some of the most prestigious shows in the country. This culminated in winning the 2018 USHJA Green Hunter Incentive Regional Championship – Southwest – 3’6”-3’9” Overall and then the WCHR Developing Pro Regional and Overall in Capitol Challenge on Grace Russo’s horse Banksy. • Nicki Shahinian-Simpson is one of the only 11 riders to win both the ASPCA Maclay National Championship and the AHSA/Medal Championship, two of the United States’ most prestigious titles for junior riders. Nicki has competed in the US, Mexico, Canada, and Europe with major wins and placings, culminating in 27 career Grand-Prix victories. COST: Much of the three-week show is free for spectators! The featured Saturday evening events require a paid admission, and general admission tickets and dinner box seats can be purchased. A DMNHS Series Pass (all three Saturday night events) is $45. Weekdays, 8 a.m. – 4 p.m.: FREE! Saturday, April 20, 8 a.m. – 4 p.m.
Sunday, April 20, 8 a.m. – 4 p.m.
Saturday, April 27, 8 a.m. – 4 p.m.
Sunday, April 28, 8 a.m. – 4 p.m.
Saturday, May 4, 8 a.m. – 4 p.m.
Sunday, May 5, 8 a.m. – 4 p.m.